Refinished tubs, tiles, countertops, and backsplashes if properly maintained can easily last 10 to 20 years or more. A new porcelain bathtub or stone countertop may last a few years longer, but with the cost of replacement being at least triple what it is to refinish, it is still not as cost effective. For the cost of a custom fit liner, or tub replacement, you could refinish your tub as many as 6 or 7 times. Our high gloss countertop refinishing coatings are durable and safe, scratch resistant, and have a high UV resistance as well. We believe we use the best coatings available in the refinishing industry. Check out OUR SYSTEMS section for more details . 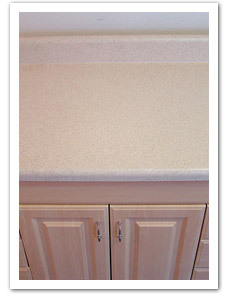 Refinishing is also great for small chips and crack repair. It is ideal for fixtures that are in need of minor repairs but otherwise are in good condition. Superior Surface Refinishing Inc. warranties our work, against peeling or other failure of adhesion of the coatings and when choosing a refinisher you should expect nothing less.